The problem is staggering: Up to 40% of food in the United States is never eaten. At the same time, 1 in 8 Americans struggles to put food on the table. The solution is staggeringly simple: Food Rescue US uses volunteer drivers to move fresh, usable food that would have been thrown away by restaurants, grocers and other food industry sources, to shelters, kitchens and pantries in Norwalk, Bridgeport and Stamford. An app enables restaurants and retailers with extra food to request a pick up. Volunteers in the area are immediately pinged. Food Rescue US is a national organization with a strong Westport presence. Over the past few years, more than 350 Westporters have helped. Christy Colasurdo is one. At Trader Joe’s she loads fresh salads, breads, sandwiches, milk, eggs, vegetables and fruits, then delivers it all to the Person to Person pantry in Norwalk. On her first run, she filled her entire SUV. She was hooked. 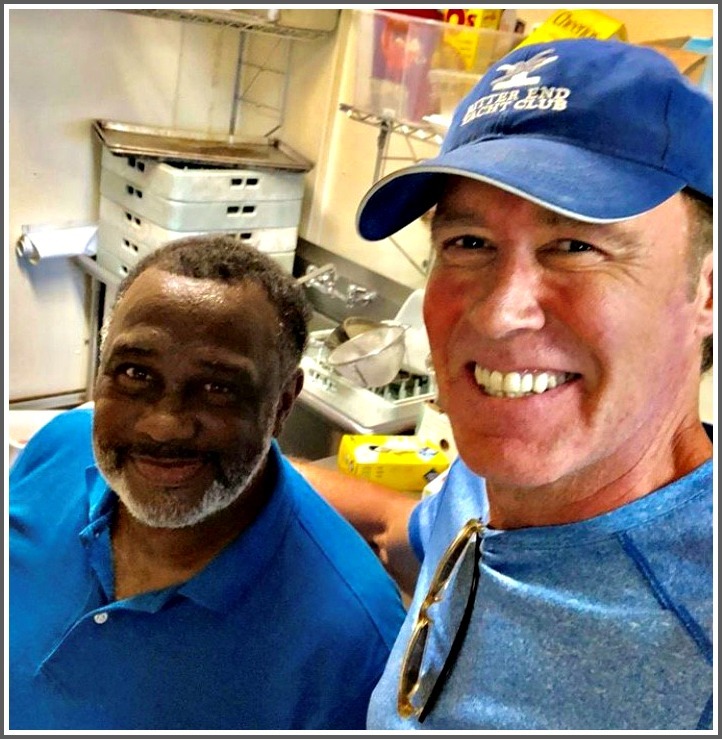 Q104.3 disc jockey (and Westport resident, and super volunteer) Ian O’Malley (right) on a recent food run to the Gillespie Center. 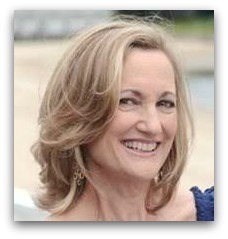 The local Food Rescue group is run by dynamic Westporter Nicole Straight. She has 2 missions: match excess food with those who need it, and let everyone know how easy it is to help. So on Monday, September 17 (6 p.m.), Wakeman Town Farm hosts a discussion about food waste in general, and Food Rescue specifically. Panelists include Straight, chef Jes Bengtson of Terrain, and chef Jeff Taibe of Taproot restaurant. Sustainable food advocate Annaliese Paik will moderate. The event includes local food donors from farms, restaurants and grocery stores. Light refreshments will be served. Tickets are $25; $15 for Food Rescue volunteers. (Click here to purchase.) Proceeds benefit Food Rescue US. Here’s an unexpected dessert: Each ticket is good for free entry to the October 21 screening of Anthony Bourdain’s documentary “Wasted!” (October 21, Town Hall, 6 p.m.). That should be enough to convince you to volunteer for Food Rescue US — or at least go to the WTF panel. I just want to say thanks, and tell you what the food donations mean to me. I get $192 a month in food stamps. It’s hard to stretch that amount over an entire month. Getting food from Whole Foods and Trader Joe’s means a whole lot. This past Saturday we got a lot of good stuff (a lot of it vegan). One of my faves was the spicy falafel. I look forward to the Saturday deliveries because there’s going to be something different each time. There’s always something I can use. Thank you! 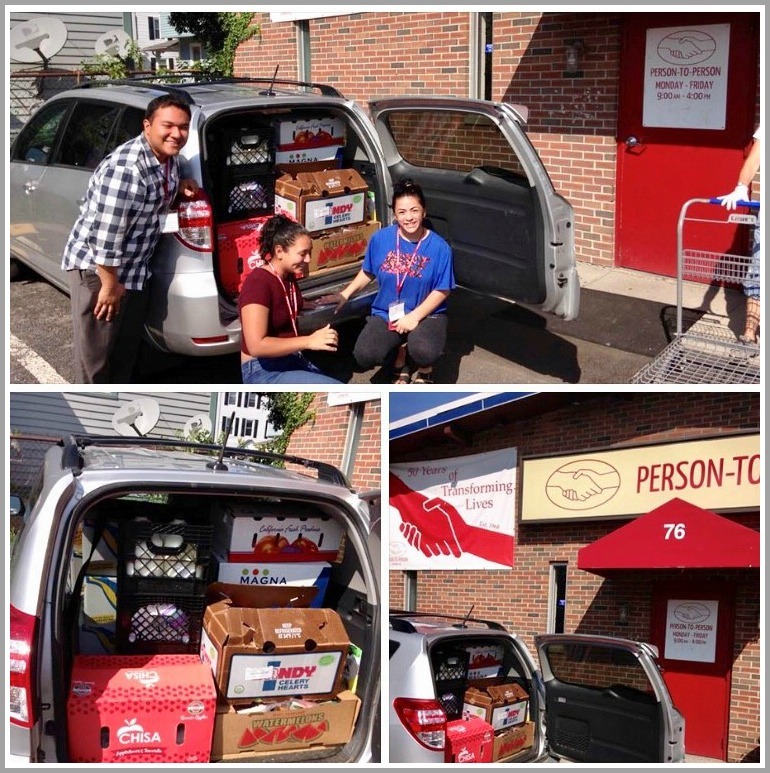 Person to Person in Norwalk appreciates Trader Joe’s — and Food Rescue US’ — generous efforts. 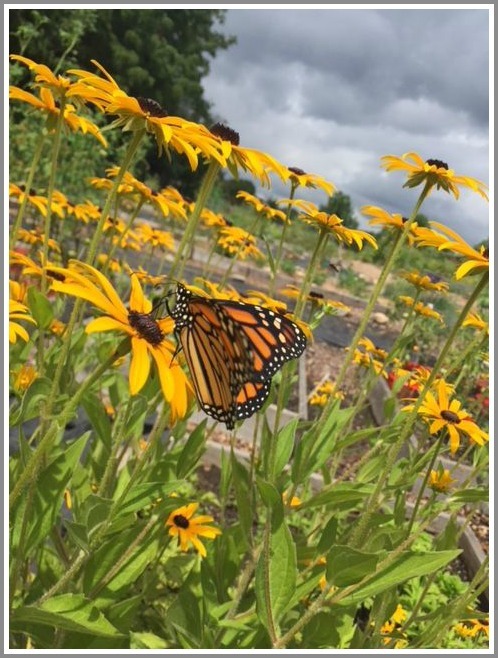 If you see a monarch butterfly around town — at the Community Garden next to Long Lots Elementary School, Wakeman Town Farm or anyplace else — you’ll marvel at its beauty and grace. You should also thank Alice Ely. She is a master gardener and a compost maven. But she holds a special place in her heart for monarchs. Alice’s inspiration, design and transplanting skills helped create the butterfly garden at the Community Garden, across from the compost area. That garden is now a registered monarch way station. Filled with milkweed and pollinator plants, it is flourishing. Inspired Community Garden members help plant, water and maintain it. Alice was also a driving force behind the habitat at WTF, and 2 others on Cross Highway. Beyond providing monarchs with homes, she helps ensure them a pathway of habitats on their migratory routes. There’s a lot more to that than just planting milkweed and “letting nature do its thing,” Alice notes. It’s painstaking work — but it pays off in gorgeous, environmentally crucial ways. A monarch butterfly, at the Westport Community Garden. Monarch butterflies — and the rest of nature that they nurture — can’t thank Alice Ely. But “06880” readers can. Which is why she is this week’s Unsung Hero. 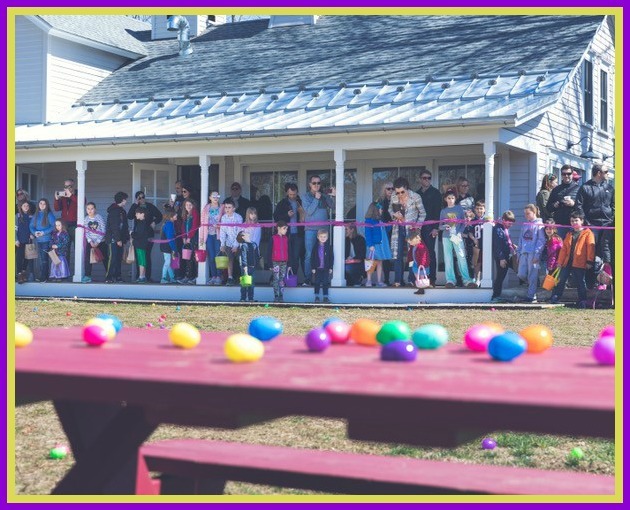 Two weeks ago, hundreds of kids scampered around Wakeman Town Farm. 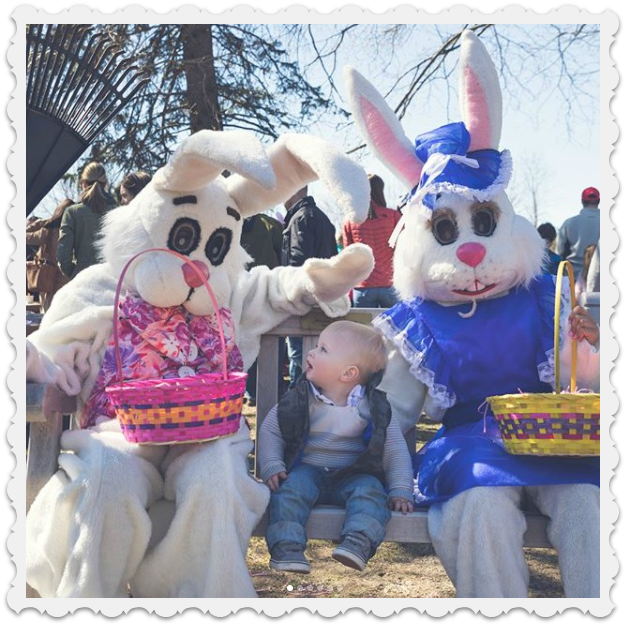 The first-ever Eggstravaganza featured an egg hunt, egg toss, egg painting, several Big Bunnies for photo ops, many more real bunnies and fuzzy chicks, plus cocoa and coffee. It was fun, family-friendly — and one of more than 50 special events held recently in and near WTF’s Tim’s Kitchen. The new community space — including a classroom — opened last fall. The sustainable agriculture center always hosted farmer camps and apprentice programs. Now it’s expanded its offerings to 12 months a year. The word is getting out: You can rent the space too. Wakeman Town Farm hosts developmentally challenged adults from STAR in a cooking series; a media brunch to promote the Westport Library’s Flex program; a Christmas bazaar benefiting Homes with Hope; a photo shoot for Melissa & Doug toy company, along with corporate and non-profit meetings, birthday and anniversary parties, bar mitzvah bunches, fundraisers and private barbecues. 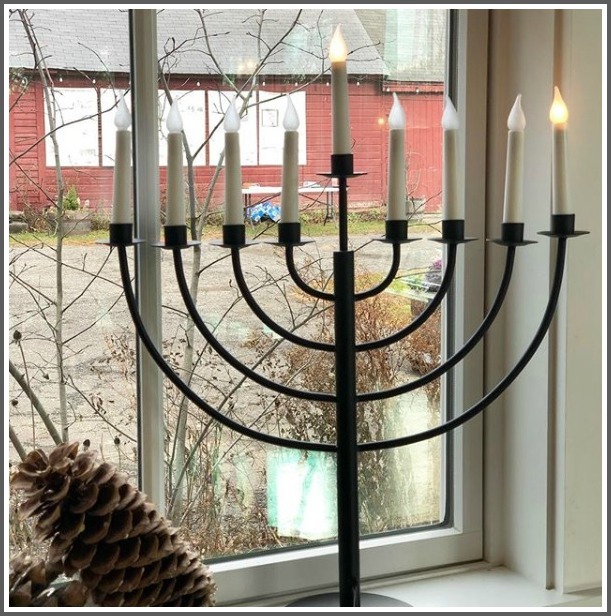 Of course, regular programs continue: preschoolers and their parents participate in Mommy & Me; middle schoolers learn knife skills; Staples students garden; Westporters of all ages attend cooking classes, and agricultural traditions like canning and preserving the harvest stay strong. Coming up: a Women’s Business Development Council presentation on starting a restaurant; a new Cookbook Club focused on changing your gut bacteria; a Wine, Cheese & Chocolate event; Green Day; a BBQ cooking class with Bob LeRose of Bobby Q’s, and a culinary nutrition class. 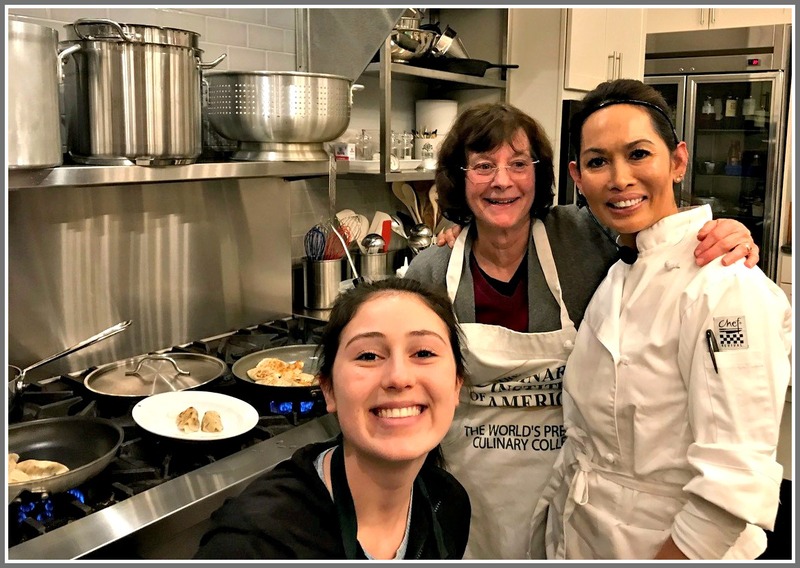 Staples High School senior Ella De Bruijn and volunteer Ellen Goldman assist Anne Campbell in Wakeman Town Farm’s Tim’s Kitchen, at an Asian appetizers cooking class. During the 4-year planning and budgeting stages, a few town officials were skeptical that the new space would be cost-effective — or that it would be used very much. Both questions have been answered. 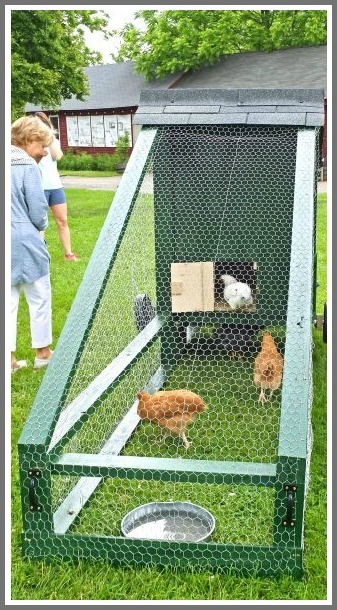 Like every other Westporter, they’re invited to Wakeman Town Farm to see for themselves. They’ve got plenty of events to choose from. The Haberstroh family’s #ALSPepperChallenge has spread all over the country. But right here in Westport, it’s bearing particular fruit. The latest group to raise money for research into the devastating disease — in honor of Department of Human Services program specialist Patty Haberstroh — is Wakeman Town Farm. Challenged by Parks & Rec — whose commission chairman is Patty’s husband, Charlie — Liz Milwe and Christy Colasurdo decided to be creative. Taking her cue from “Rapper’s Delight,” Christy wrote lyrics. Corey Thomas — WTF’s talented steward — showed his versatility as the rapper. The video was filmed yesterday at the farm, after their annual team retreat. It’s already been viewed over 450 times on Instagram, and 400 times on Facebook. Wakeman Town Farm was not the only organization in town taking the hot pepper challenge yesterday. Staples High School’s boys basketball team did the same — and were inspired by a visit from both Patty and Steve Haberstroh, a former Wrecker hoops star (and Patty and Charlie’s son). Haberstroh noted that Jon Walker — a 1988 Staples grad, and another famed Wrecker basketball player — died last year of ALS. Coach Colin Devine (far left) and members of the Staples High School boys basketball team take the #ALSPepperChallenge yesterday. The Haberstrohs’ challenge has raised nearly $220,000 so far. That includes a $100,000 anonymous donation. Another $250,000 anonymous pledge is expected this week. Since 1948, Aitoro has been the place to go for refrigerators, washer-driers, TVs and other big-ticket home items. Just across the line in Norwalk, they’ve developed a passionate following in Westport (and the rest of Fairfield County). 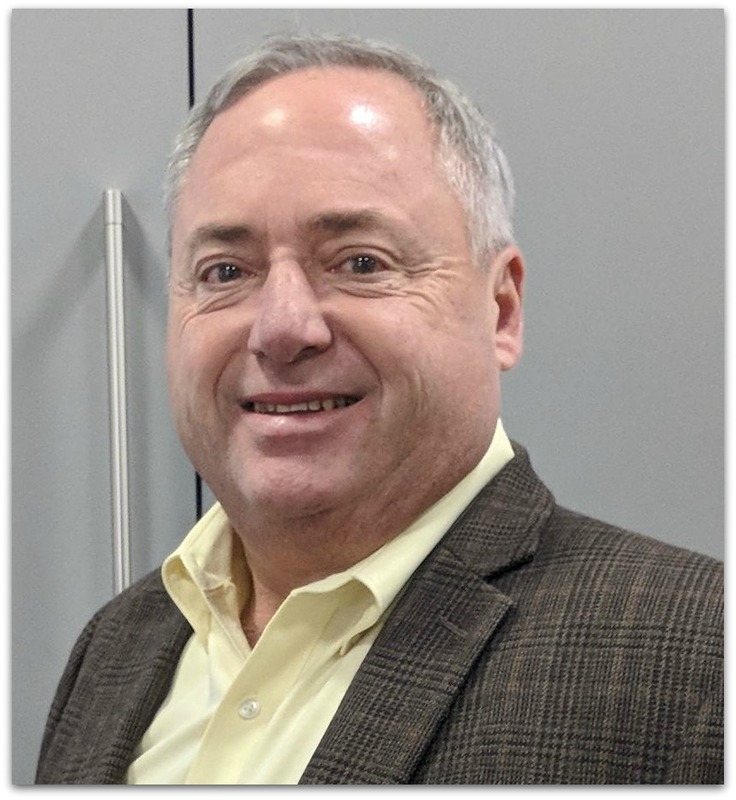 Tony Aitoro — one of the current owners — loves selling appliances. But just as much, he loves offering his store for good causes. Since opening a big showroom in 2004, Tony has made that his mission. 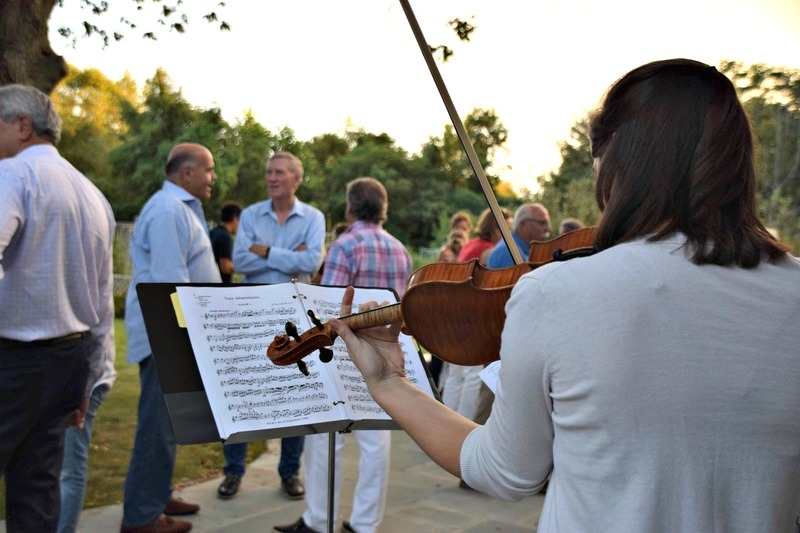 Nearly every Thursday night — as soon as customers leave — he hosts an event for a worthy cause. Clothes to Kids, STAR, Habitat for Humanity, the American Cancer Society, Cooking for Charity — nearly any non-profit that asks can use Aitoro’s great space for a fundraiser. If there’s food involved, caterers — or specialty chefs — take over the kitchen. The cost of renting a hall can be huge. Thanks to Tony, that money is never spent. Tony’s generosity extends beyond Thursday nights, of course. When Wakeman Town Farm was putting in a new kitchen this year, he gave them a great price. “He loves this area. He loves the water, his family, his business, and helping charities,” says Eric Aitoro, Tony’s nephew. And “06880” loves Tony Aitoro right back. Though the 1 Wilton Road building disappeared, plank by wooden plank, there is some good news on the preservation front. Next Monday (October 30, 7 p.m., Town Hall auditorium), 1st selectman Jim Marpe and Historic District Commission chair Francis Henkels will present the organization’s 2017 awards. Eight properties — from all over town — have been chosen. They represent a variety of styles, and were selected for many different reasons. Taken together, they are proof that Westport still cares about its architectural heritage. 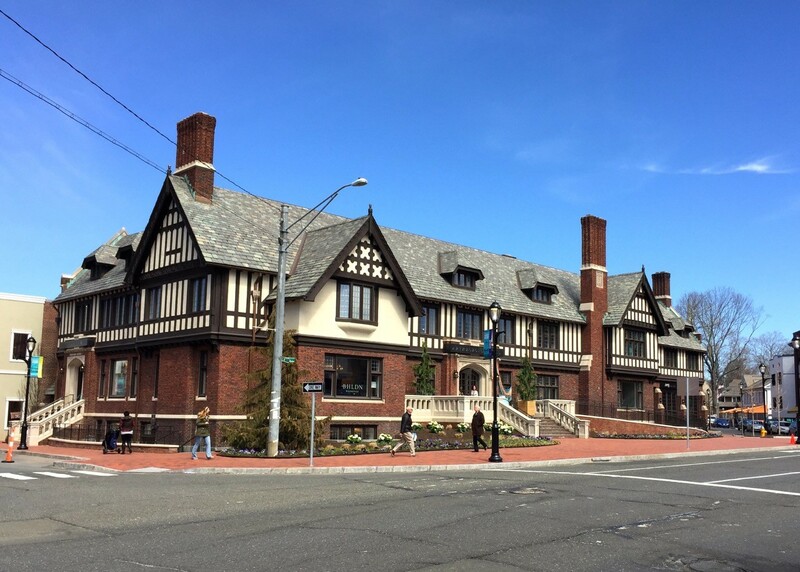 Since 1923, this Tudor revival has anchored downtown. Generations of Westporters knew it as the YMCA. When the Y moved to Mahackeno, there were grave concerns over the future of the building. Bedford Square Associates — led by David Waldman — made a strong commitment to historic preservation. With hard, creative work and collaboration with town agencies, they and architect Centerbrook Associates designed a mixed-use complex that repurposed the Bedford building. Though there is significantly more space, the character and scale respects the streetscape of Church Lane, the Post Road and Main Street. 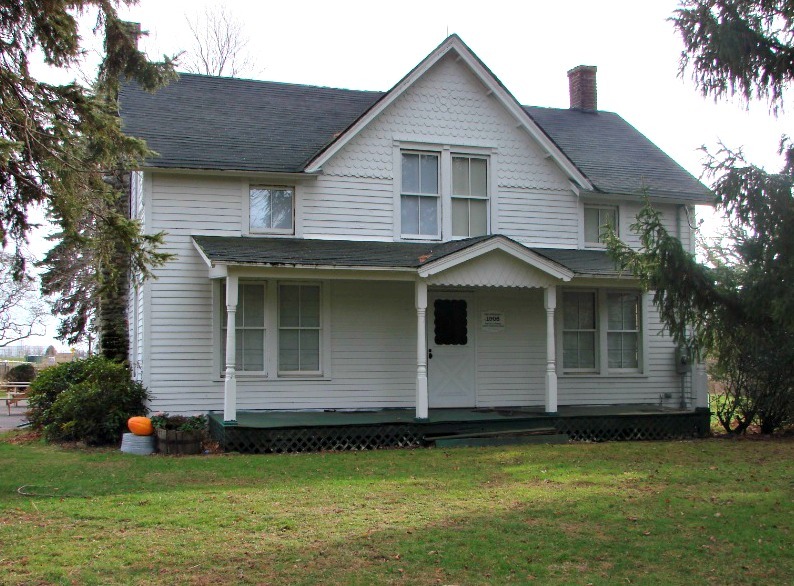 This late-1800s farmhouse, with veranda, turned posts and a projecting gable is a Westport landmark. 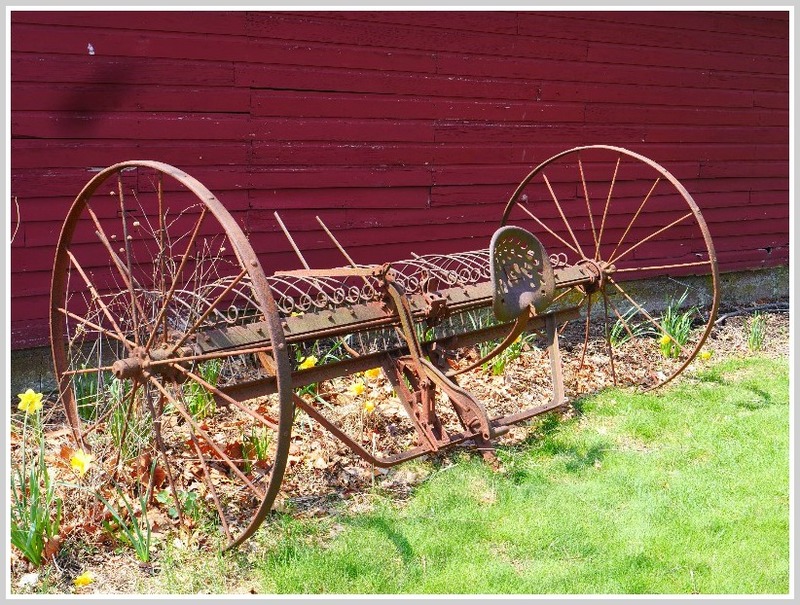 In the 1900s the Wakeman family supplied neighbors with produce, milk and eggs. 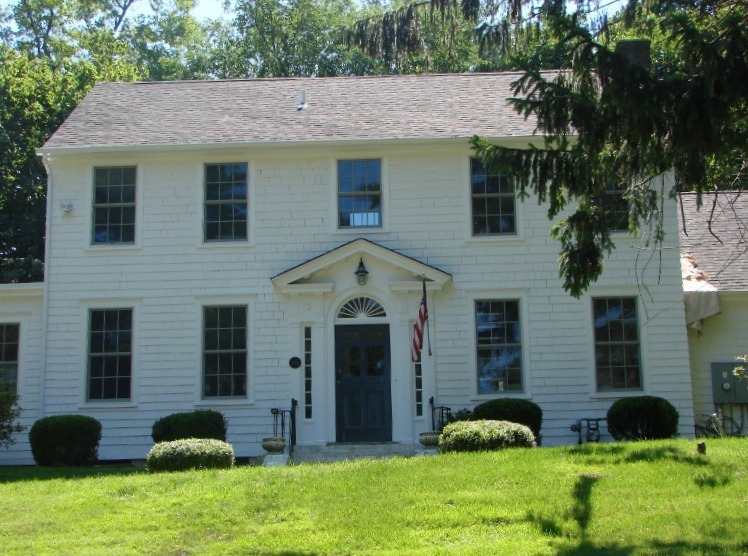 In 1970 Ike and Pearl Wakeman sold the historic property to the town. Today it is a sustainability center and organic homestead, open to the public. 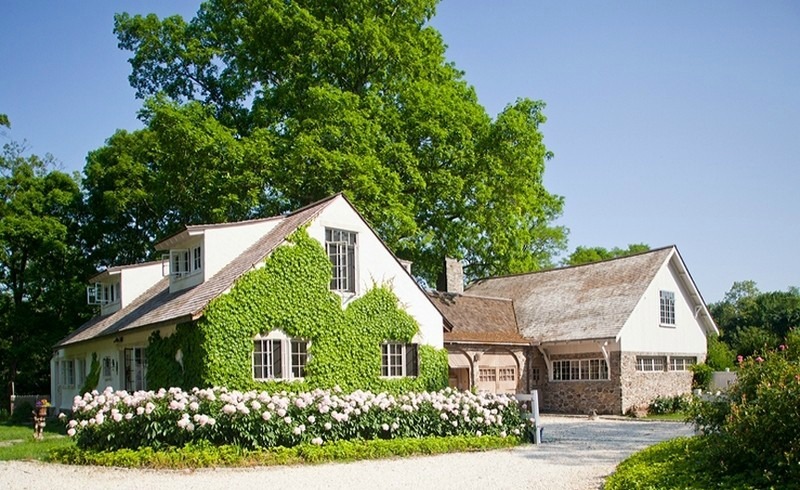 Longtime Westport architect Peter Wormser donated his time and talent to rehabilitate the farmhouse. Public Works oversaw construction. Key elements include a rebuilt front porch, and new educational kitchen and classroom. 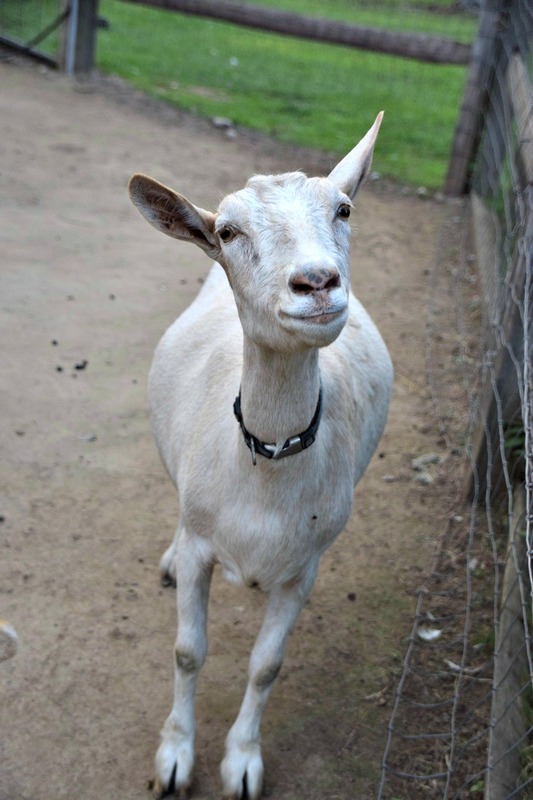 Wakeman Town Farm is now even better able to teach, feed and inspire Westporters of all ages. The Meeker homestead stood on the route taken by British soldiers, heading to Danbury to burn an arsenal. But after 2 centuries the barn and 1728 saltbox house fell into disrepair. When Mark Yurkiw and Wendy Van Wie bought the property in 2003 it was in foreclosure. They rehabilitated the barn/cottage, and got a zoning variance to subdivide the property (making both buildings more likely to be preserved.) They’re now protected by perpetual preservation easements. 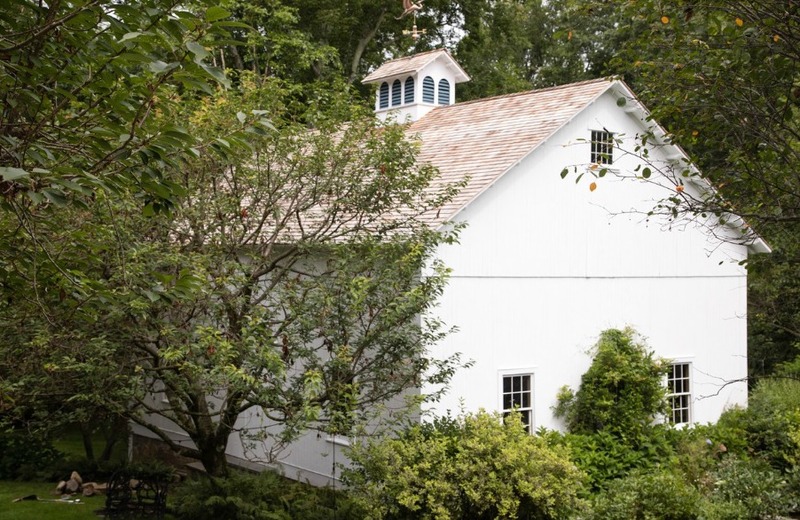 This English-style barn was built in 1820 by Francis Bulkley. In 2000 Lawrence and Maureen Whiteman Zlatkin bought the property. They installed a new shingle roof, reinforced the basement foundation and floor beams, replaced exterior siding and enhanced the interior. All work was done with meticulous care, using historically appropriate materials. 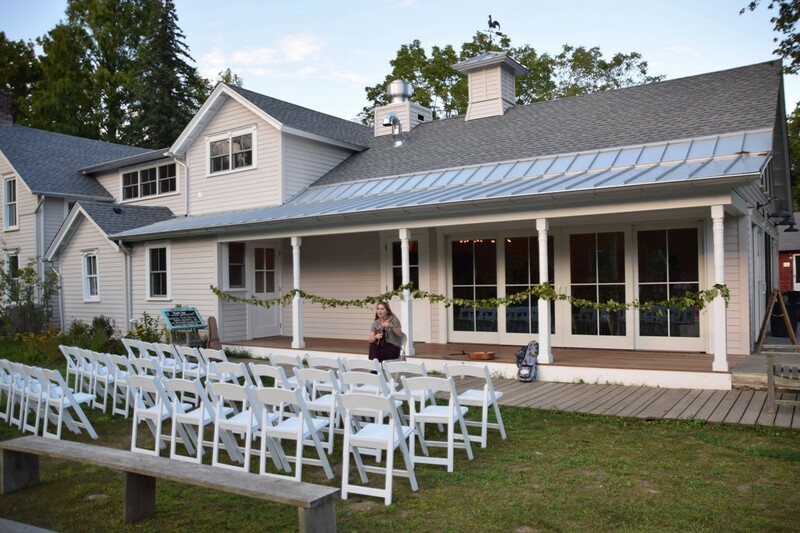 The barn now hosts civic gatherings, concerts and family events. Maureen died last month. Her husband hopes that her focus on preserving the barn will inspire other Westporters to do the same to their treasures. 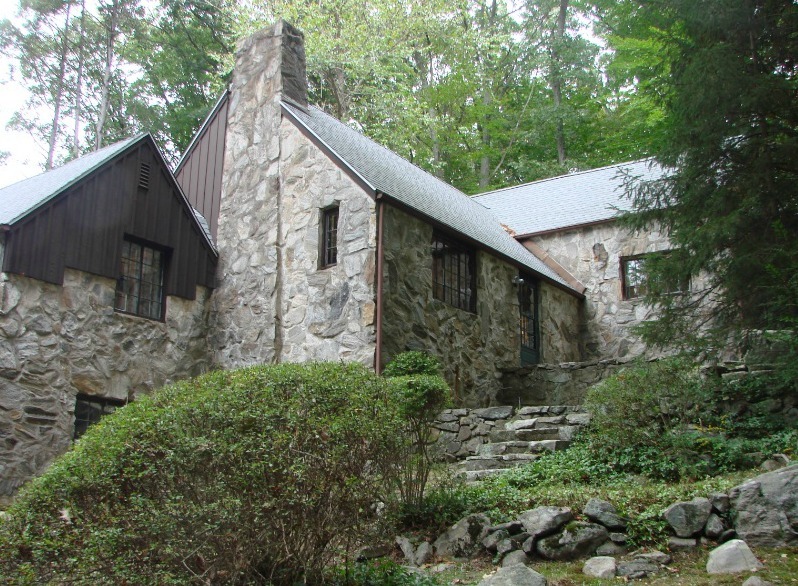 This 1927 stone Tudor revival is a classic example of the homes Frazier Forman Peters designed and built in the area. When Sam and Jamie Febbraio bought it in 2015, it had suffered from severe neglect. They meticulously restored it to its original form, adding 21st-century amenities. A 3rd-generation Westporter, Sam understands the appeal and significance of Peters homes. 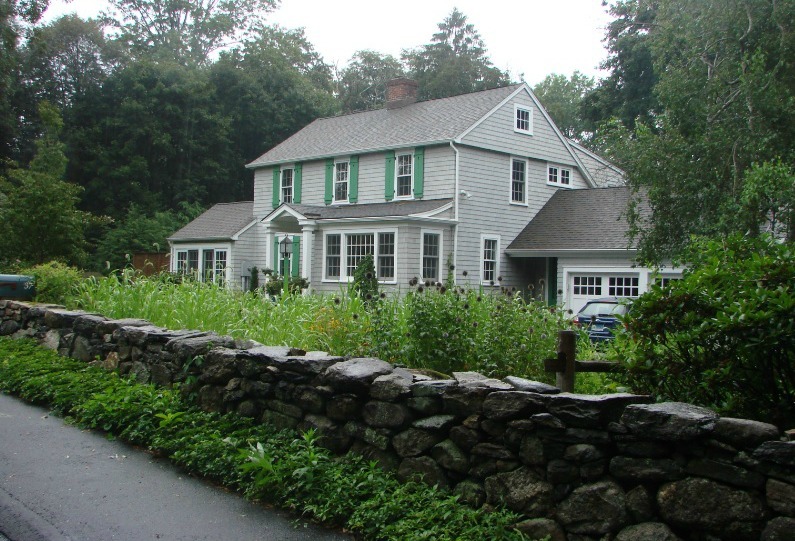 Jenny Ong purchased this 1924 colonial revival — listed on the Westport Historic Resources Inventory — in 2015 “as is” from a bank, with no inspection. Extensive water damage made it uninhabitable. The roof had collapsed, and the exterior was rotted. The owner hired a structural engineer and architect. The original footprint was maintained, but with new windows, doors and roof. A dormer, stone steps and driveway were added. The rehabilitation replaced basement posts, first floor joists and flooring. The renovation of this 1938 colonial revival — located in the Evergreen Avenue Historic District — included the removal of a later-addition solarium in the front of the house. It was replaced by an addition within the existing footprint. Materials and design reflect and enhance the house’s original character. Owners Bruce McGuirk and Martha Constable worked with the HDC to ensure the work would be appropriate for the historic district. 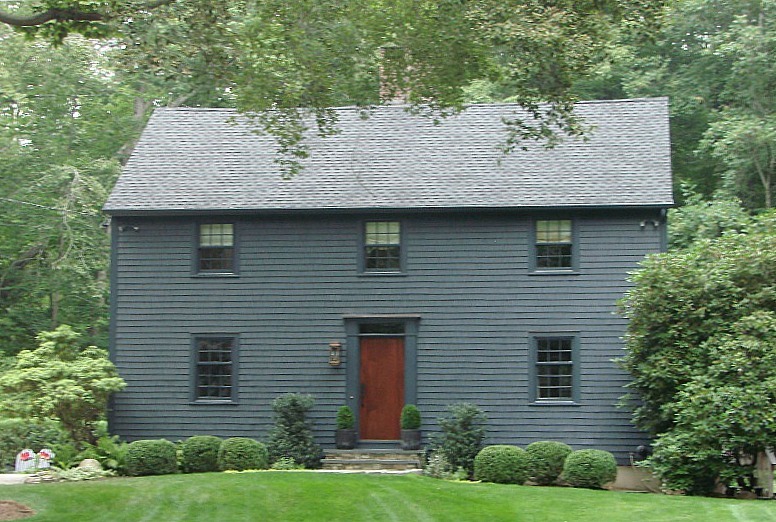 This 1966 home — designed and built by George White — is a typical New England saltbox-style replication. Its 3rd owners — Lawrence and LJ Wilks — have taken special care to preserve the exterior. Wakeman Town Farm threw an open house this evening. A crowd of over 200 welcomed farmer Corey Thomas, and enjoyed the renovated facility — including the new Tim’s Kitchen, behind the sliding glass doors.